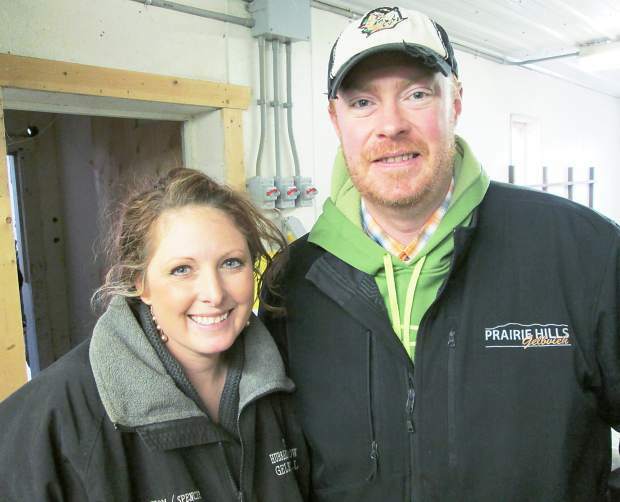 Brittany Spencer with Clint Sickler of Prairie Hills Gelbvieh, Gladstone, N.D., who bought Lot 4 at $29,000. Beastrom Ranch is owned by Jim and Barb Beastrom, along with their daughters and their families, Brittany and Wes Spencer and Brandy and Shad Ludemann. 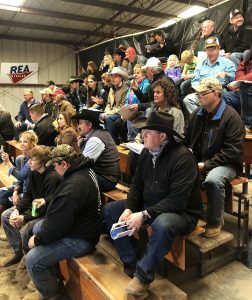 A good crowd had gathered early at their ranch in central South Dakota, to walk through the bulls and make their top selections. This was an outstanding set of bulls, and it was anchored by the national Reserve Champion Pen of Three Balancer Bulls at the Denver Stock Show. 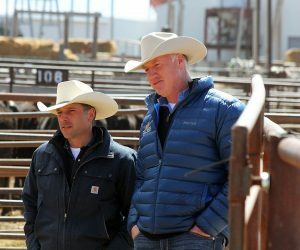 The Beastrom Ranch was also one of the two runners-up in the Breeders’ Choice Balancer Bull Futurity. The Beastroms offered purebred and percentage bulls that were both red and black. I felt this was the best set of bulls that the Beastroms have offered, since I’ve been coming to their sale. This sale provides plenty of selection, from the full purebred Gelbviehs, along with red and black Balancer bulls, each with varying percentages of Gelbvieh bloodlines. DV Auction provided the video of the bulls. 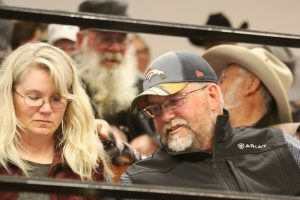 There was plenty of interest on the top purebred bulls, as well as strong competition all day long. Top selling bull of the day was shared by two bulls. Lot 4, BABR 4280B “Dominance,” sold for $29,000 to Prairie Hills Gelbvieh, Gladstone, North Dakota. This heterozygous black, double polled bull was the lead bull in the Denver Pen, and was born at 88 pounds. He weaned at 791 pounds and grew to a yearling weight of 1,504 pounds. His EPDs were CED 10, BW 3.7, WW 83, YW 122, TM 60, CEM 7, ST 5, REA 0.41, and MB 0.02. Sired by CTR CTR Sandhills 0065X, he was out of BEA Cindy Lou Who ET, one of Beastrom’s top red donor cows. 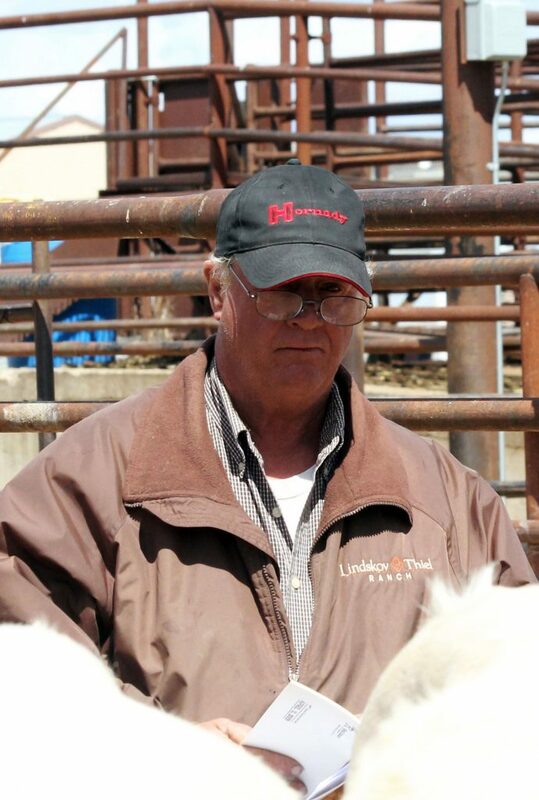 The second bull at $29,000 was Lot 34, BABR 4267B, selling to Dave Lensegrav, Meadow, South Dakota. He was a homo polled homozygous black bull with a 90 pound birth weight, a weaning weight of 774 pounds, and a yearling weight of 1,616 pounds. Sired by BEAS 2806Z, he was out of a daughter of Mytty In Focus, and had EPDs of CED 16, BW 0.9, WW 81, YW 141, MILK 26, TM 66, REA 0.9, and MB 0.92. Lot 1, BABR 4241B ET, “Influential,” also demanded lots of attention with Hill Top Farm, Ansbury, Missouri., winning the battle with a final bid of $28,000. This member of the Denver Pen was sired by BABR Secret Brand 2100Z ET, and out of a 14 year old cow, AHL Hott Damn 31L. He hit the ground at 84 pounds, then weaned at 781 pounds, before growing to a yearling weight of 1492 pounds. He was homo polled and heterozygous black. Fladeland Livestock, Gladmar, Canada, chose Lot 7 at $11,500. This red, 75 percent double polled bull had a birth weight of 82 pounds, a weaning weight of 777 pounds, and a yearling weight of 1,552 pounds. He was sired by BABR 003X and out of a dam by TMAS Mr. Cherokee 312. 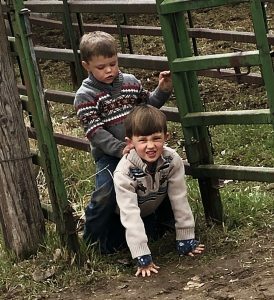 He gained 4.87 pound per day and ranks in the top 20 percent of the breed for weaning and 25 percent for yearling EPDs. He has lots of muscle mass. The LC Ranch from Stellter, Canada, bought Lot 13 at $11,500. Here was “Authority,” a red son of BEA Passion 001X ET. Born at 95 pounds, he weaned at 832 pounds and attained a yearling weight of 1,620 pounds. He ranks in the top 2 percent for yearling growth and the top 3 percent for weaning weight. Jerry Bush, Onida, South Dakota, bought Lot 44 at $11,000. This black 50 percent bull was sired by BABR Secret Brand and was out of a daughter of BABR Who Done It. With only a 55 pound birth weight, he weaned at 754 pounds and posted a yearling weight of 1,447 pounds. The top selling open heifer, Lot 83, brought $7,500 from Cameron Schwank. As always, great hospitality, with outstanding burgers grilled by Stan, were enjoyed by all in attendance.